Thank you for your continuing interest in JRIPE. Journal of Research in Interprofessional Practice and Education has published its latest issue at http://www.jripe.org/index.php/journal. We invite you to visit our web site to review articles and items of interest. Thank you for the continuing interest in JRIPE. Problem Solving–What’s in the residue? Consider the following scenario: A group of professionals delivers a set of services. Each of these services requires different types of tasks. Each type of task can only be performed by specialized professionals. In addition, no one can predict the specific task to be performed; tasks only become known during the course of service delivery and only to professionals in some specific hierarchy of the group. This kind of scenario is familiar to health care services. A patient expresses her needs to a family doctor who translates them into specific clinical tasks. Other professionals then carry out or expand on those tasks during service delivery. The needs the patient expresses and how the professionals translate them into specific tasks can change over time and in most cases no one can tell in advance what specific tasks may be required. These scenarios highlight two categories of problems: what to do specifically in any given task, and how to manage the dependencies between tasks—assigning the tasks to the right people who will do the right thing, at the right time, with the right resources. Now consider how complex the required tasks can be when a patient has a chronic illness such as diabetes or multiple sclerosis or HIV/AIDS. In all these cases, interprofessional learning is problem based learning. As professionals learn to coordinate their tasks, they learn to solve a problem that is central to group work, and in the process, may improve collaboration, know more about each other, the tasks each one performs, and how they all fit into a unified whole. And so would students learn together if we can expose them to opportunities where they can solve problems collectively. This is in essence what D’Eon et al. propose as they extend the merits of Problem Based Learning (PBL) to Interprofessional Education (IPE) in the context of HIV/AIDS management (www.jripe.org/index.php/journal/article/view/28/28). With PBL, students can talk about their thinking and reflect on it, and it is precisely this reflective ability that is their major source of knowledge as they discuss their view of a problem and their own tentative approaches to solving it. In theory, the simulated professional contexts of PBL can help students learn about not only what to do to care for a patient, but also how to do it collaboratively with colleagues who may hold competing viewpoints. But is this what happens in practice? I can see three reasons why we need to give learning about group work its fair share of attention as we extend PBL to interprofessional contexts. First, there is the somewhat troubling notion – brought long ago by John Dewey – that what students learn through problem solving is what remains after they solve problems. If this is true, then how can we maximize the likelihood that this residue is Inter-Professional Education (IPE— defined as learning with, from, and about each other to improve collaboration and care quality) if interprofessional practice is not targeted in students’ learning? The second reason has to do with costs. The interprofessional PBL module on HIV/AIDS involved seven different health professions programs and 300 students. In addition to much investment in coordinating the module, the authors report that the “module consists of about six hours of small group work and a few hours of independent research and discovery learning, a considerable amount of total time on task.” I doubt that this kind of investment can be friendly to educational policy if interprofessional practice is not both an explicit learning goal and an outcome of problem based learning. Third, clear IPE goals and content are important from a research point of view. We cannot be sure what students are learning (what’s in the residue) or how effective their IPE learning is, if we are not specific about the IPE content of the problems they solve. In summary, we must be clear about the kind of problems the students are learning to solve: defining tasks or coordinating them. One can argue that when students face a trade-off between defining tasks from their professional perspective and coordinating multiple professional viewpoints on the same tasks, they tend to choose their own professional perspective because it is more convenient to do so. D’Eon et al.’s preliminary results seem to support this view. Further research may expand on these results for the benefit of collaborative practice and enhanced care quality. Health care practice is as varied as the patients we care about. Not only do we engage in clinical practice, but some of us also conduct educational research, while others experiment and innovate as clinicians, researchers, and health policy makers. To keep up with evolving knowledge, we must also continually ramp up new care processes and technologies, learn new skills, and enhance efficiency. 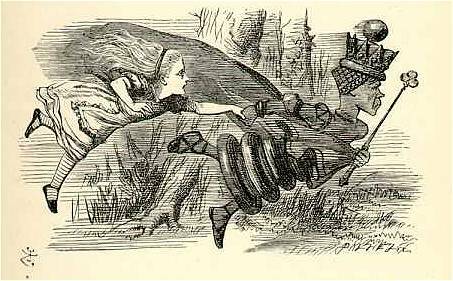 I’m often reminded of Lewis Carroll’s Through the Looking-Glass where Red Queen tells Alice: “it takes all the running you can do, to keep in the same place. If you want to get somewhere else, you must run at least twice as fast as that!” The truth of the matter is that change is constant and we are always going somewhere else. Running twice as fast is not an option. Second, JRIPE cannot stop at increasing access to refined versions of research. 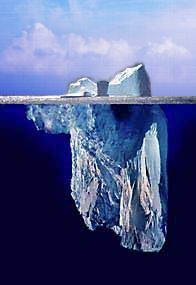 Published research is only the tip of an iceberg in an ocean of uncertainty. In the midst of all the humming and the buzzing of everyday practice, there is that complex and beautiful puzzle, if not mystery: somehow, somewhere, between people, there is a capillary force that attracts and sometimes holds participants together in spite of their varied disciplinary boundaries, professional self-interests, identities, goals, knowledge, values, cultures, and differential access to resources. Getting to the parts of that puzzle, and getting them right, takes more than what a polished manuscript can tell. Much of the fun and not so fun parts of research are in the “war stories” that defy neat categorizations and simple linear equations: the false starts, the frustrations with messy, confusing problems of everyday practice that go into collecting data and getting it ready for analysis; the adjustments, the changes, the improvisations, the muddling through; all the juicy stuff that goes into negotiating with insufficient information, experimenting, failing, and trying again. The best way to get at those “war stories”, and the practical know-how behind them, is through conversations and the sharing of narratives among professionals. And so we need to open discussions about what went into the making of research no matter how big or small its purview. This is an action we can take immediately through IPELOG. IPELOG (jripe.wordpress.com) offers a space for dialogue, knowledge sharing, and learning. We invite you to share your comments on what JRIPE publishes. Please go to http://www.jripe.org/index.php/journal/issue/view/4 to select the articles that interest you, and leave us a comment, tell us what you think, give us your opinions, share your success and failure stories, solutions to problems, and feedback about tactics and methods. Collectively, we can get our puzzles right without having to run twice as fast. Research in InterProfessional Practice and Education: is RIPE really ripe? I find it fortunate that RIPE works as an acronym for Research in InterProfessional Practice and Education. JRIPE would then be a journal that helps disseminate knowledge that is in all its fullness, seasoned, thoroughly matured, and ready to be consummated. That is all well and good when we can assume that we have gone through all the necessary phases of maturation. We would be ready to face all challenges; “Readiness is all” as Hamlet would have it. But are we ready? Is RIPE really ripe? Based on several recent literature reviews, the answer would be No. We still have a long way to go. Our research is still too descriptive, using small samples to pilot test IPE activities that focus on changes in learners’ knowledge, skills, and attitudes. Only few studies use solid research designs that allow for strong scientific inferences about the nature of interprofessional collaboration, interprofessional education, and their effects on collective learning and care improvement. I would consider the second view and ask: What is the revolution that “we make fall”? How can we direct IPE research towards maturation? Where do we start?